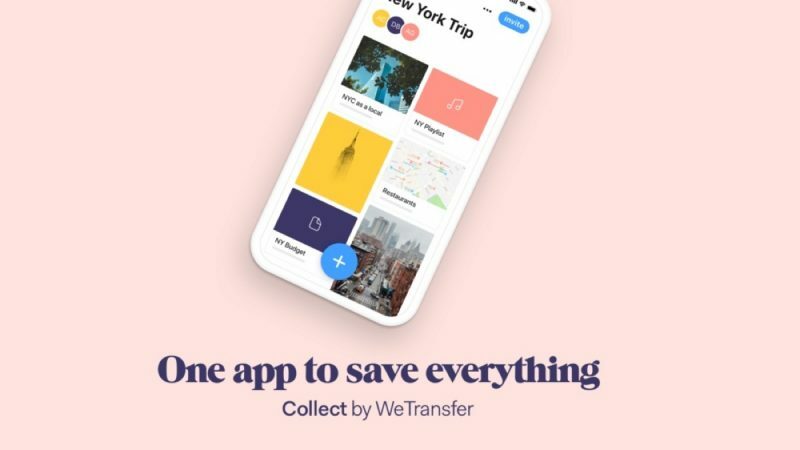 File sharing service WeTransfer today announced a new version of its mobile app called Collect, billed as "the best way to organize ideas". The file-sharing app has been redesigned to enable users to build ideas together in a visual way, allowing multiple people to add photos, videos, articles, notes, songs, and links to one unified place. Users can save any type of media to boards, which can then be edited collaboratively and shared with others. The new app also features instructive illustrations that walk users through all of the app’s features for collecting, sharing, and collaborating. "Collect by WeTransfer solidifies our evolution from a simple file-sharing service to a wider set of beautifully obvious digital tools that encourage creation and collaboration. Following our recent acquisition of Paper & Paste, this couldn't be a better time to introduce the Collect experience to a wider group of users and build on our commitment to creating products that make sharing ideas effortless." Founded in 2009 and pitched as a file sharing service for the creative community, WeTransfer's products are now used by over 50 million people each month.